Embrace Healthy Gums in 2014! Did you know that your gums are just as, if not more, important as your teeth are when it comes to having a healthy smile? We are sure you hear your dentist stress the importance of taking care of your gums, and it may go in one ear and out the other. But, really, taking excellent care of your gums is a crucial role in having a great smile, and our experienced doctors are here to make sure you receive top notch treatment! 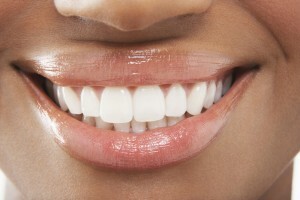 Believe it or not, over 80% of people are living with some form of gum disease. What’s even scarier is the fact that you’re likely to be living with it yourself, and you are not aware of it. There are many things that cause you to get gum disease, like excessive tobacco use, excessive alcohol consumption, certain medications, genetics, and so on. Though it may not seem like a big deal, if you don’t take care of you gums, a lot more serious things can start to affect your body, like respiratory complications, heart disease, stroke, bone loss, tooth loss, and much more. The good thing, however, is that gum disease is completely reversible if caught early enough. A couple of things we do to take care of you gum disease is scaling and root planing. We will be able to remove the hardened plaque from your teeth, as well as being able to get to the nitty gritty bacteria on your teeth. We will also educate you on the importance of regular flossing and brushing. One thing you can do to prevent gum disease occurring in your mouth is to brush and floss your teeth at least twice a day, though after every meal is ideal. Flossing is a great tool to get the excess food from between your teeth, that way they can’t sit and continue to attract bacteria. Also, you may want to invest in a good mouthwash. Look for a mouthwash that is antibacterial and has fluoride. That way, it can kill the remaining bacteria the toothbrush couldn’t get, while the fluoride helps strengthen your teeth! With these few and simple tips, as well as regular appointments with our awesome doctors, there is no doubt you will have a beautiful smile you can be proud of! If you’d like to make an appointment to get your gums in the right shape, make an appointment today! Visit our contemporary practice and learn why Central Dental Associates has been Norwood’s premier choice for family and restorative dentistry since 1965. We’re located in Norwood, MA at Chestnut Green, convenient for patients from Walpole, Westwood, Medfield, Dedham, and surrounding areas. Call us today! Comments Off on Embrace Healthy Gums in 2014!